Richard feynman gave a talk at caltech 50 years ago that revolutionized science in many ways. 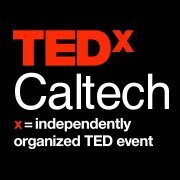 Tedxcaltech posts homage his incredible mind and entertaining personality. See his van and hear the music of Tuva (A feynman favorite) this afternoon. Did you know noted physicist Richard Feynman was an Altadena resident?